I want to create a new partition space and don’t want to use any boot utility. I heard it can be possible from device manager. If there any such method, then please tell me. How to make partitions of hard disk other than through operating systemÂ’s installation procedure? 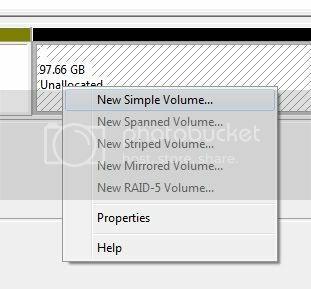 Re: Method of creating a new partition space with the help of Device Manager? So, you want to create partition without using any other software. 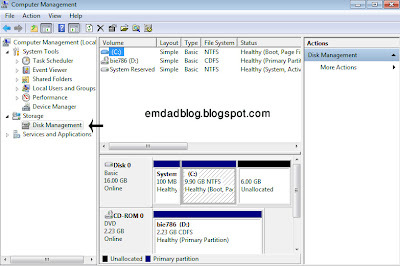 You can use inbuilt Disk management feature to create partition in hard disk. After completing the Wizard , new drive will be formed. 1.Log in to administrator user account in windows. 3.Click PERFORMANCE AND MAINTENANCE > ADMINISTRATIVE TOOLS. 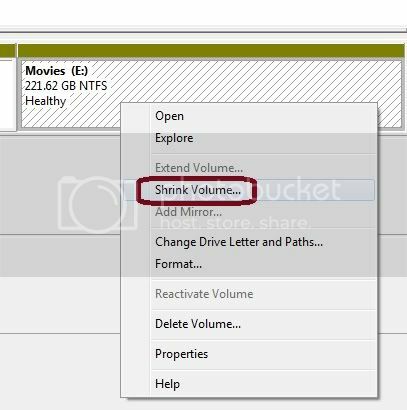 4.Click on COMPUTER MANAGEMENT and expand the STORAGE tab by clicking on the "+" sign. 5.Click DISK MANAGEMENT to open the window that contains all the graphical representation of each hard drive partition. 6.Right-click on the white rectangle that represents UN-allocated free space on hard drive. 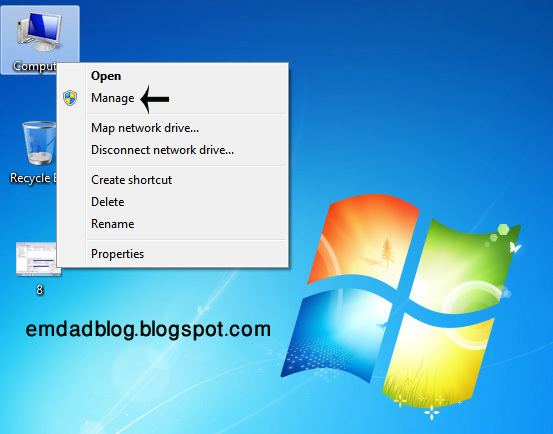 7.Select NEW PARTITION in the context menu and open new partition wizard. 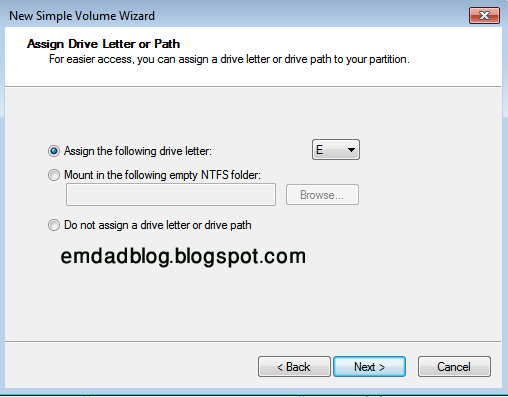 8.Click NEXT and choose partition type. 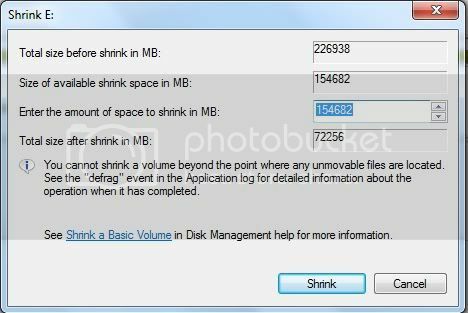 9.Enter desired size(MB) of partition in the PARTITION SIZE box and click NEXT. 10.Choose the option FORMAT THIS PARTITION WITH THE FOLLOWING SETTINGS. 11.Choose NTFS from the drop-down list and click NEXT. 12.Click FINISH to create partition.Allow 2to5minutes for formatting. 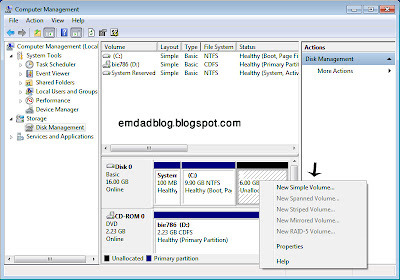 This is very simple procedure to create a new partition from the Device manager. you know one thing that is When we right click on the My Computer Icon it Will show manager. Which is manager for all our system resource . that is not Windows Device manager. Which are the Device connect to my system . What are Device need troubleshooted a. What are the device used to what driver software. Which com port are using for which communication. This type of information is Provided by the Device manager. A windows manager contains several category. And each category certain certain responsibilities . This is very simple way. 1. Right Click on 'My Computer' Icon. 2. Click ob the mange. 3. At left panel of the Window . Click on the Disk Management. 4. Right Click on the Existed partition. 5. Select the Shrink Drive. 6. Enter the Availability space of the Disk. 7. Specify the File system type. 8. Specify the Drive Letter. A partition is create and formatted and ready to use for My Computer. 1.Firstly go to the Device Manager. 2.Then you go to the 'Disk management'. 3.There you can see all the drives of your computer. 4.There you make a right click on any one drive and click 'Delete Logical Drive'. 5.Then you make a right click on it and click on 'Create a Logical Drive'. 6.Then you create a drive by reducing it's space. 7.Then you will have more free space. 8.Make that free space into another drive.